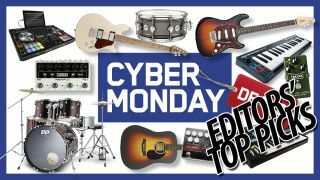 US users have seen some fantastic Black Friday and Cyber Monday bargains for guitarists, producers, DJs and drummers, and you can find them all on our exhaustive Cyber Week hub page. However, if you just want to see the very best deals - the ones you really don't want to miss out on - read on. Consider these our editors' picks: we'll keep adding more as they come in.